Ruth E. Finley. 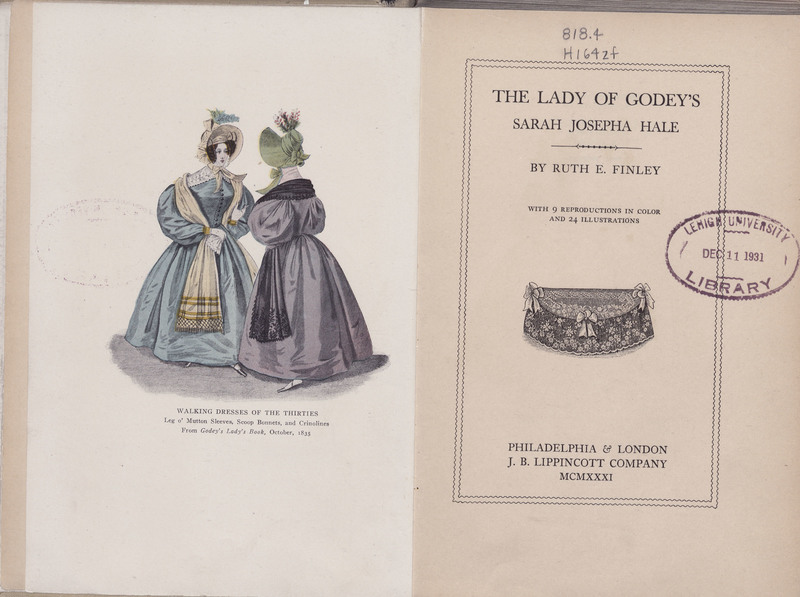 The Lady of Godey’s, Sarah Josepha Hale. Philadelphia: J.B. Lippincott Company, 1931. The concept of the women’s magazine originated with Godey’s Lady’s Book (1830-1878). It was published in Philadelphia by Louis A. Godey with the intent to take advantage of a gift book market designed expressly for women. Each issue contained articles on cookery, poetry, original fiction, and engravings by prominent artists. The most influential editor of the magazine was Sarah Josepha Hale (1788-1879), the subject of this book. She was editor from 1837-1877, and took advantage of her role. She became a leading American tastemaker and supported women's education and place in the workforce. Hale was also the author of the children’s nursery rhyme Mary Had a Little Lamb. The magazine influenced many American traditions: the white wedding commonly credited to Queen Victoria, the decorated Christmas tree also from the Victorian Era, and Thanksgiving Day as a holiday along with the customary food of roasted turkey and pumpkin pie. 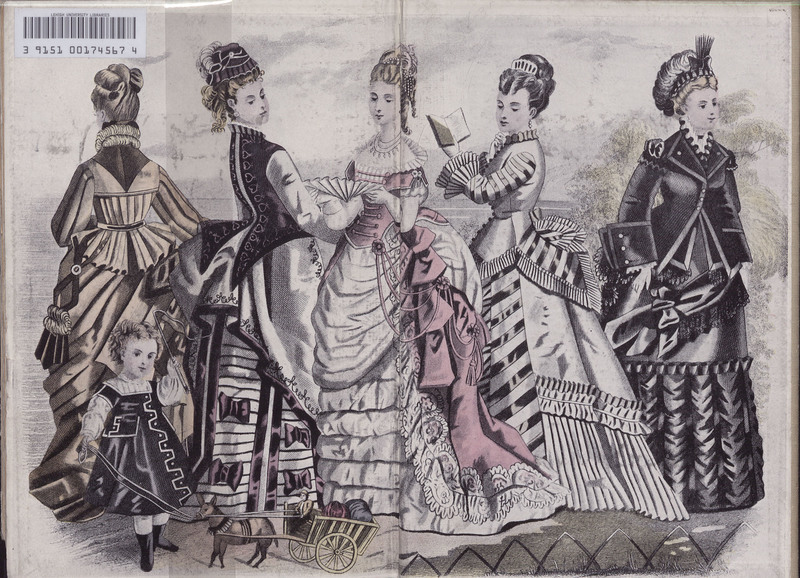 However, the magazine is best known for the hand-tinted fashion plates in each issue which provides a record of the progression of women’s dress in the nineteenth century.